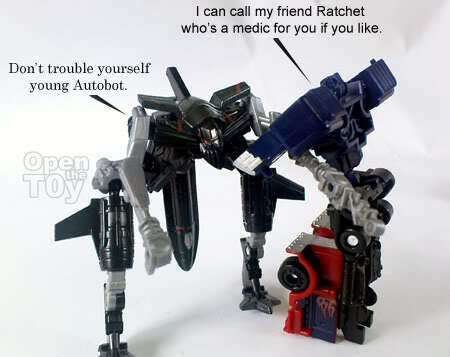 Meet Jetfire. 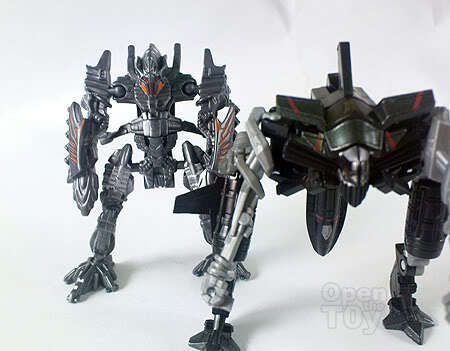 I got this old man (Legend class Jetfire) the same time together with another old man (Legend class The Fallen). 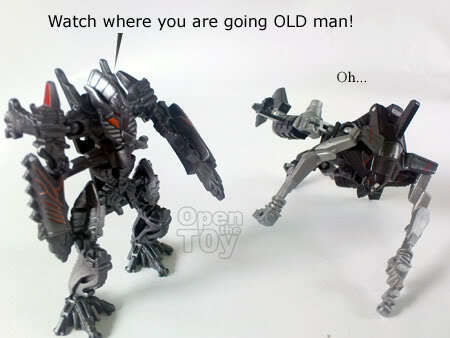 Who is older by the way? 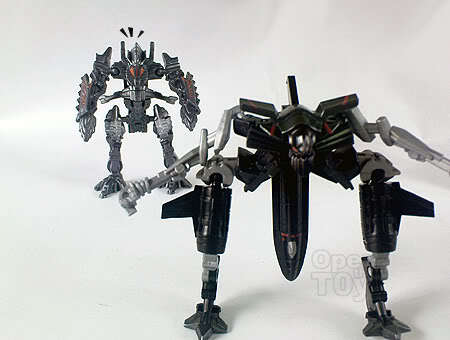 Jetfire or The Fallen? Like all legend class, the status and transformation instruction was printed at the back of the card. 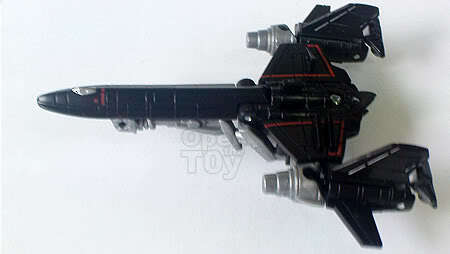 Jetfire transformation look more complicated but in fact, it more straight forward than the fallen. Let's Open the Toy. 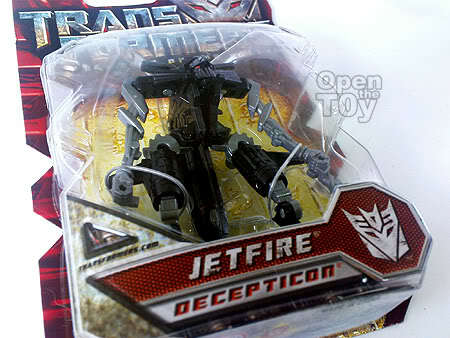 There it is, Jetfire with his cane on his left hand. 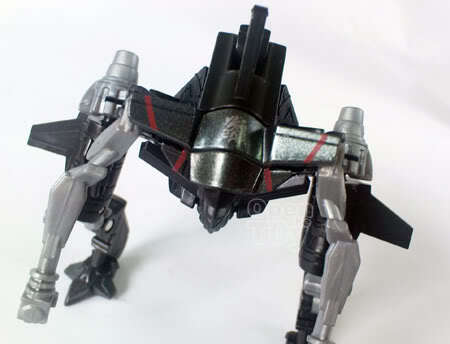 This version of Jetfire is a bit skinny but with a good sense of balance. His cane however never get to touch the floor. In fact, he look fit! The face was pretty much movie accurate but he do look younger. maybe that's just me. 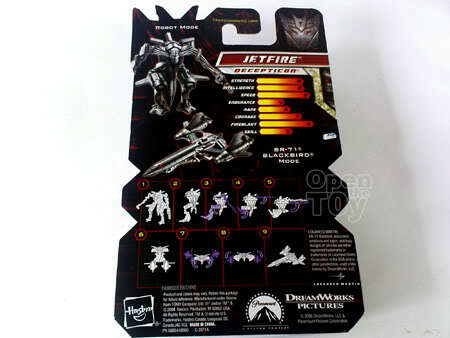 Jetfire still retain the Decepticon logo with him. The very next step will be the plane mode. This is the best looking plane so far in my opinion for the movie version. 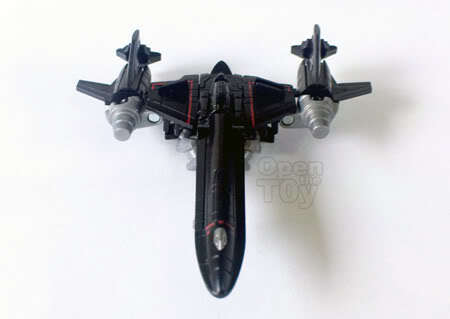 It was model after a real-life reconnaissance plane, an SR-71 Blackbird. 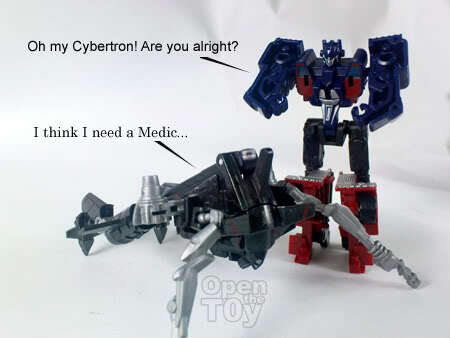 I do have a legend Optimus Prime from the movie one but the combine just does not work. 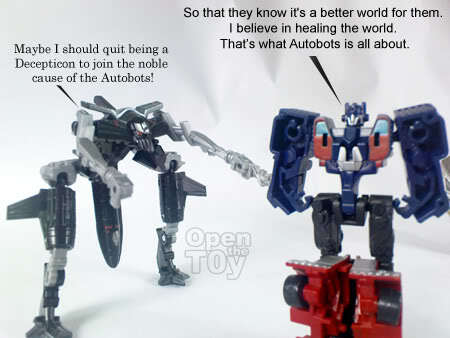 Well that is how it happen.... :P Anyone know where Optimus Prime got his lines from? Do make your guesses. 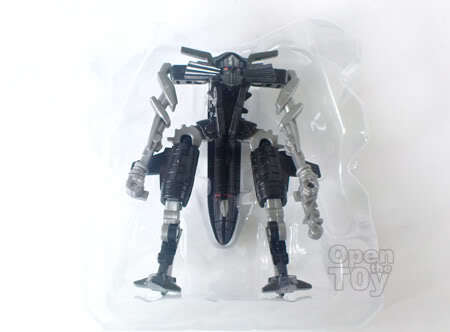 A good point that you pointed out that Jetfire's robot mode looks like a huge mosquito. LOL He does look like one! Thanks Joshua. You getting the Hottoy Thriller MJ? Now that you mentioned! 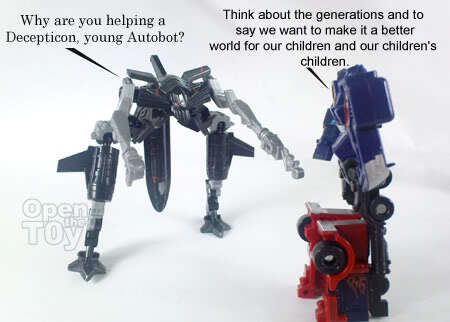 ROTF Jetfire does have similarity with Fallen. 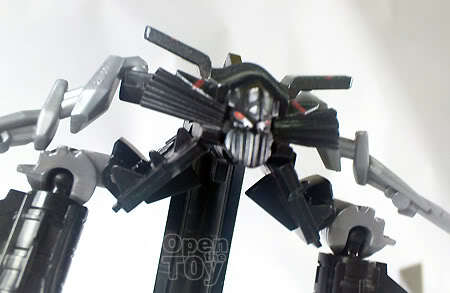 Yes he does but I find he look better than the legend class which is too bulky in robot mode.